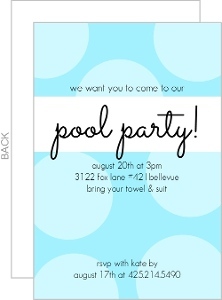 Who doesn't love a pool party? 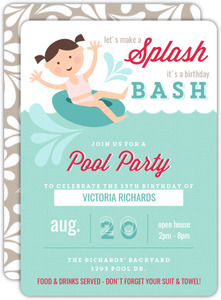 Rhetorical Questions aren't meant to be answered, and you just tried. 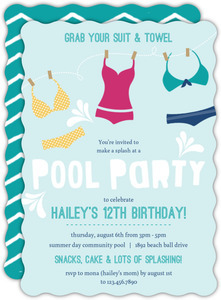 Shame on you. 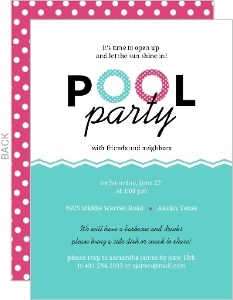 Pool parties are awesome. 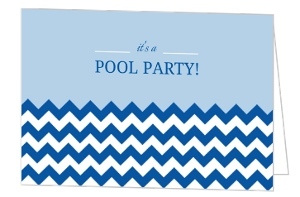 And as such, we've got some pool party invitations that will tell everyone that you're having one of these fantastic events. 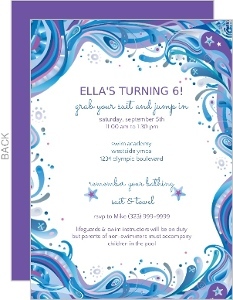 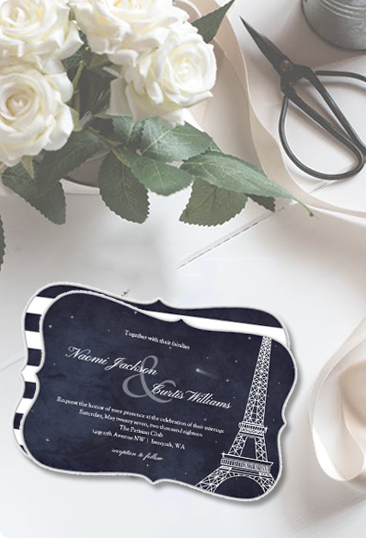 All cards here are personalizable, so be sure to list all the details of your party, and add a few things if you'd like. 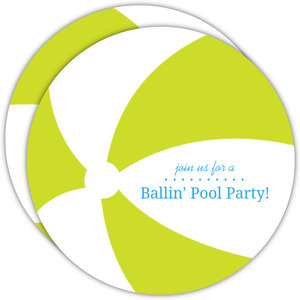 Add a beach ball from our art work within the design center, or find a picture of your favorite beach, and add that to the card. 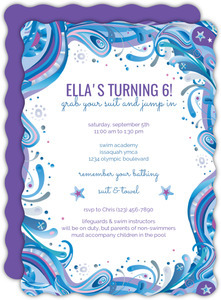 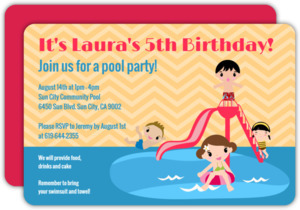 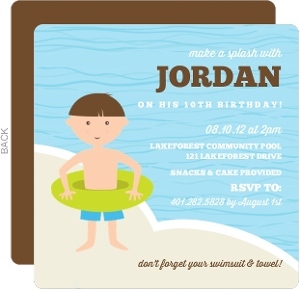 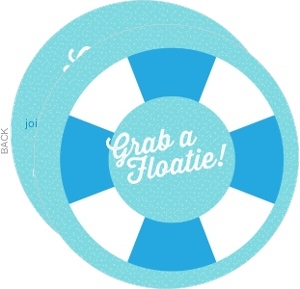 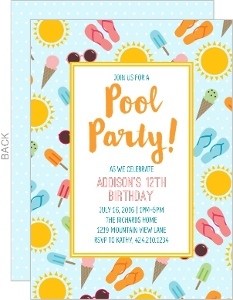 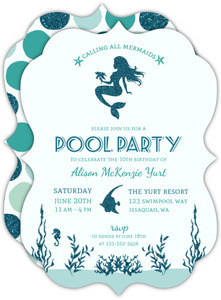 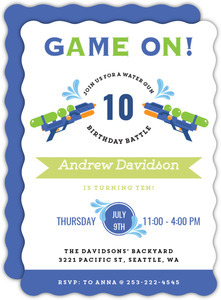 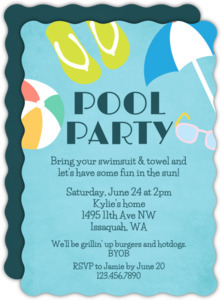 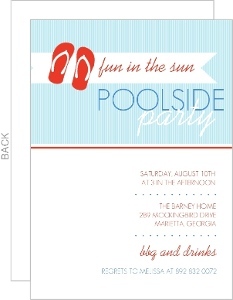 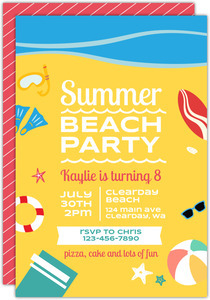 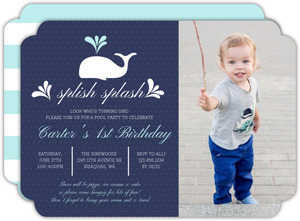 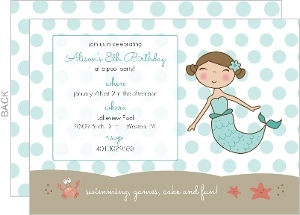 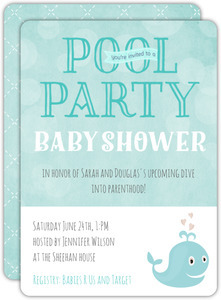 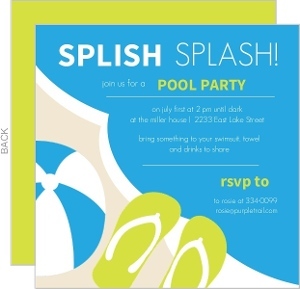 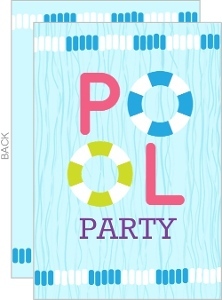 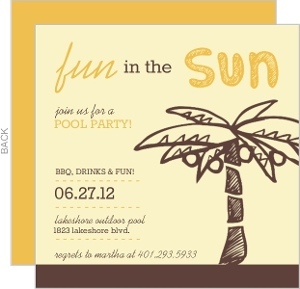 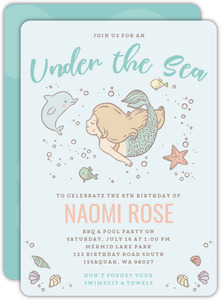 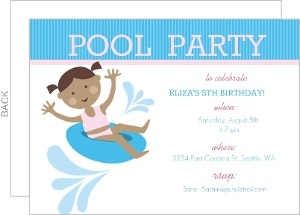 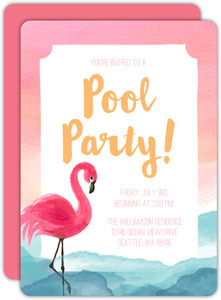 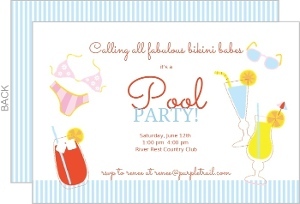 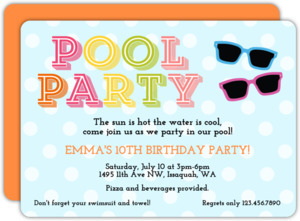 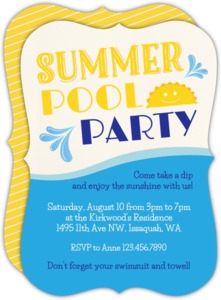 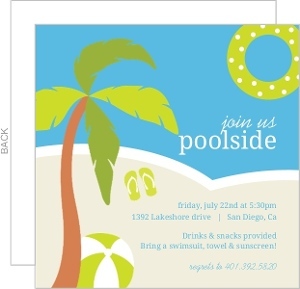 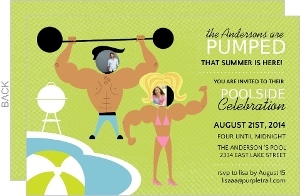 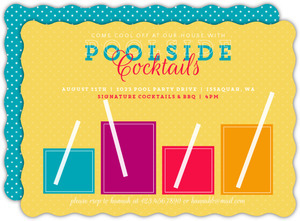 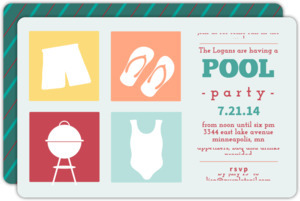 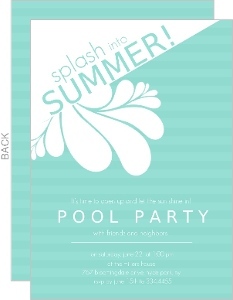 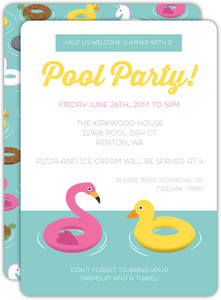 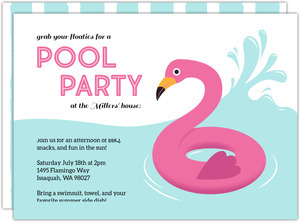 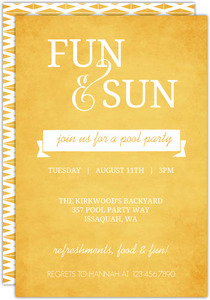 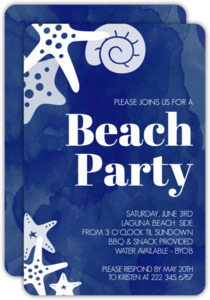 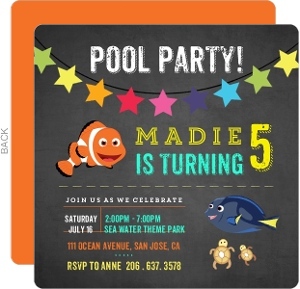 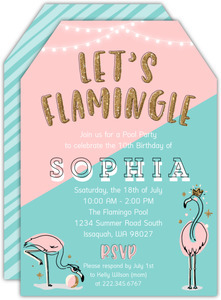 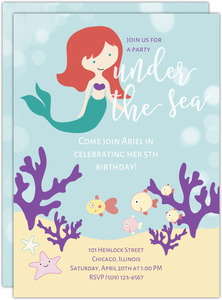 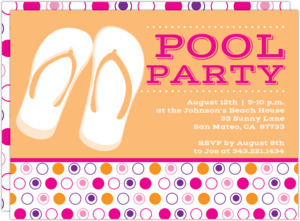 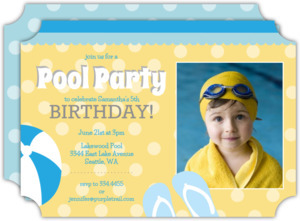 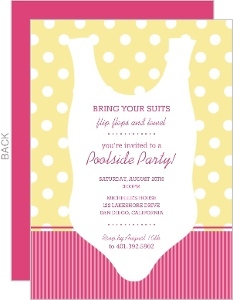 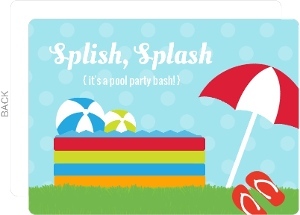 Who can resist a Pool Party Invitations that just feels refreshing? 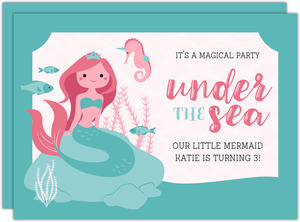 Also Rhetorical, don't even try. 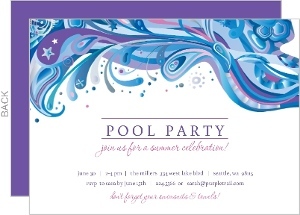 PurpleTrail takes pride in its stationery, and witty humor in the description areas of pages. 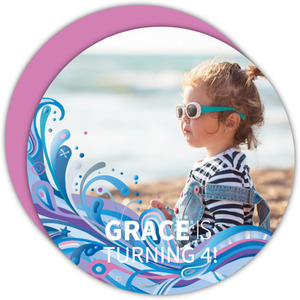 Please visit every page to read them all, and see what all we have to offer.